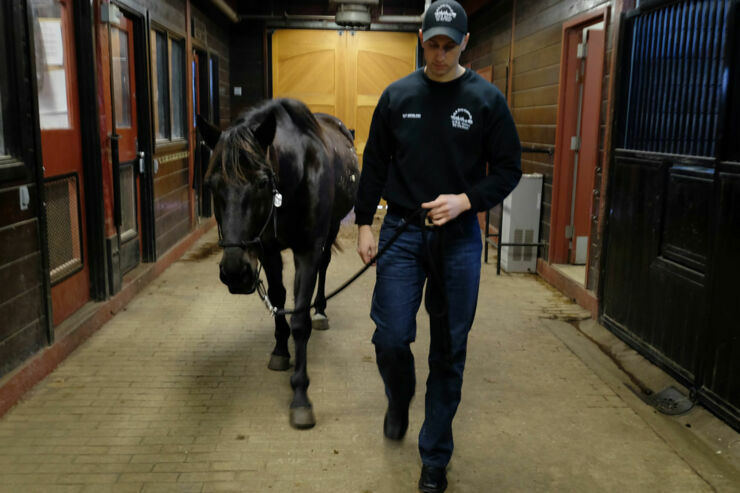 Many people love horses and many people would love to own a horse. But, you know, they're not cheap. 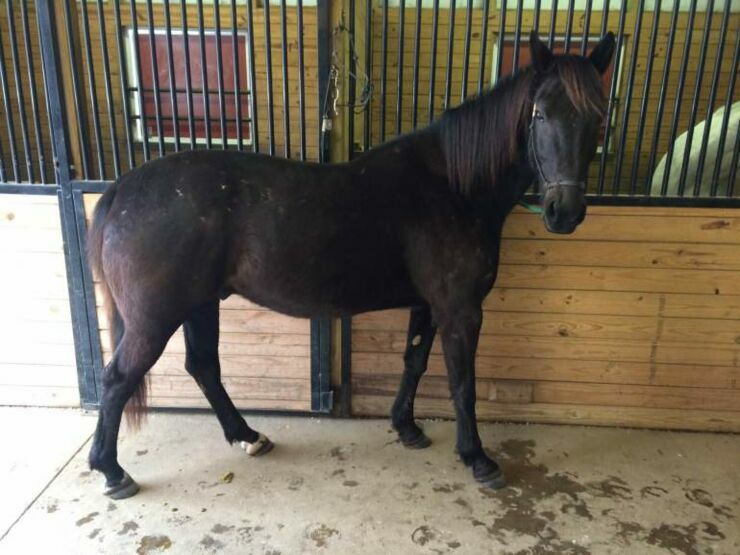 If you're one of those people then you might really like the idea of adopting one of these retired military horses who have served their country, because they're going for free to a good home. They didn't fight in any wars though, instead they're what's known as caisson horses meaning they pulled coffins, officers and service members who died in action, to Arlington National Cemetery for burial. "The choreographed procession, led by a riderless horse, is one of the most solemn and stylized rituals in the nation." note The Washington Post. So in a way they are war heroes. But now, after serving their country it's time for them to retire. "These guys did their service," Staff Sgt. David Smith said. "It’s their time to be a horse." - So they are now looking for their next homes. 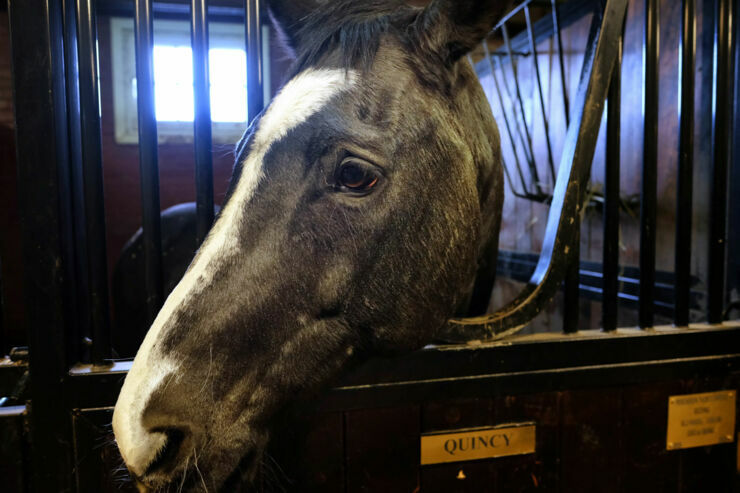 Their are two horses, Kennedy and Quincy, up for adoption, both having served in the Army’s Old Guard at Arlington National Cemetery. Their day would often start at 4:30AM when a burial was taking place, sometimes they'd perform the ritual up to eight times a day, biweekly. They will now go free to new owners but if you want either of them you have to go through a six page vetting process first in order for them to find suitable places to spend the rest of their days. 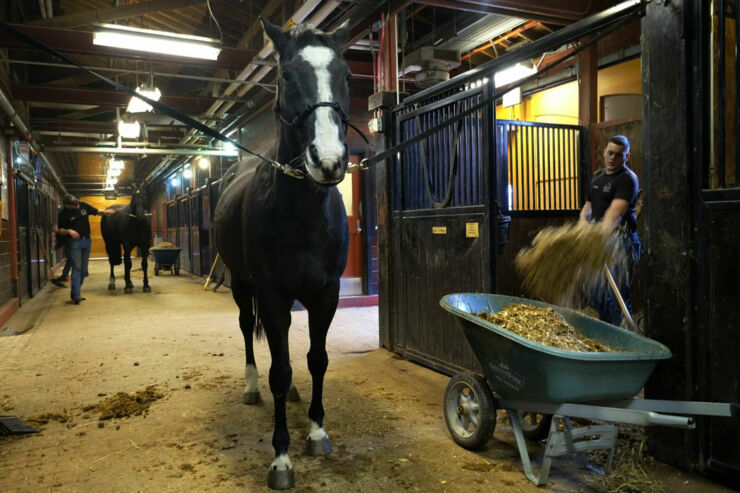 These horses served a very important purpose and the Army want them going to the right homes so they can enjoy their well-earned retirement. They certainly look like beautiful animals and i am sure a lot of people will be excited about this prospect. Good luck in your retirement Kennedy and Quincy. "There is no greater honor then to serve those fallen before us." -- Soldiers assigned to The 3d U.S. Infantry Regiment (The Old Guard) have the distinct duty of rendering final military honors to their fallen comrades. (U.S. Army video by Army SSG Jedhel Somera).